Residência: Tara's Coquito & Pastelon Pop-Ups Casa Brasil welcomes chef resident: Tara Sherry-Torres with a holiday pop-up series! 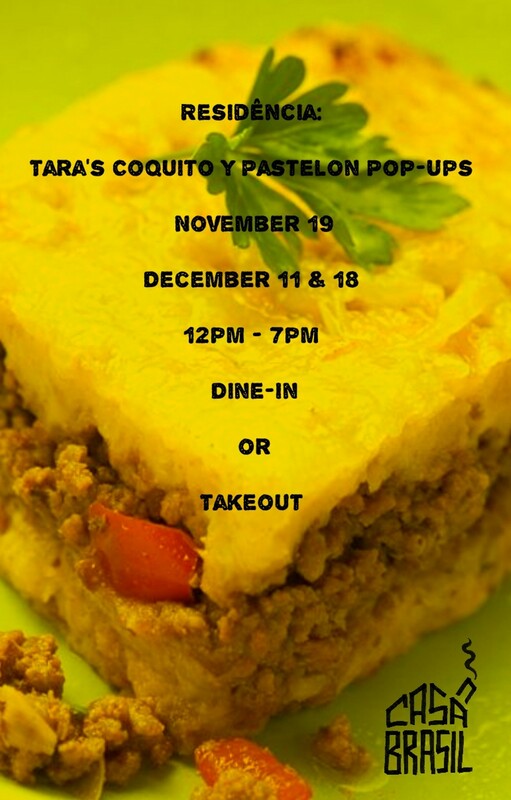 Throughout November and December Tara will be hosting a series of Puerto Rican pop-ups serving the best pastelon in town! You can dine-in or take it to go! Dates: November 19 December 11 December 18 Time - 12 noon -7 pm Location - Casa Brasil Note: For pastelon pre-orders for your holiday parties you can place your orders directly with Tara: http://taras-coquito-y-pastelon.ticketleap.com/taras-coquito-y-pastelon/ NO tickets needed for dine-in or regular takeout. Join us!